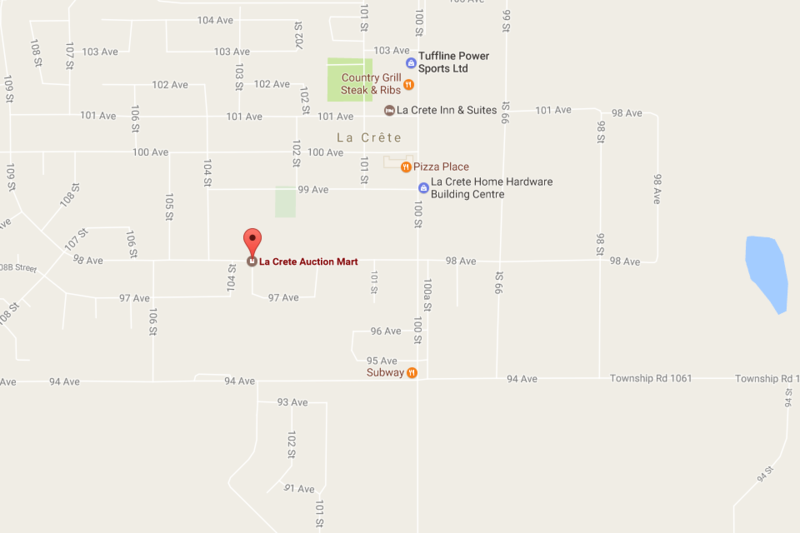 La Crete Auction Mart Ltd. has been in business for the past 22 years. We specialize in unreserved farm dispersal sales, estate sales, and business closures throughout the Peace Region. We have the Experience, the Equipment and the Ability to provide our customers with the highest level of services. With our Intensive Advertising Program we do our best to get the right people to your auction. We provide full color brochures, internet advertising, newspaper ads, full color posters, road signs, etc. Internet bidding is also available. Call us for an on farm visit with NO OBLIGATION. Let us help you. Complete your Unreserved Contract to Auction today.